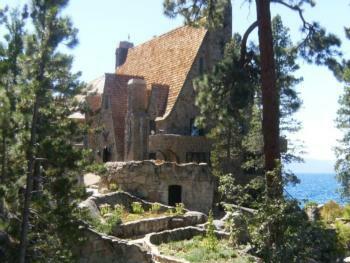 This is a private tour of Thunderbird Lodge and is being offered by the Thunderbird Lodge Preservation Society. This is a docent led tour that explores both the gardens and the architecture of the George Whittell estate. The tour is restricted to Master Gardeners and their guests (25 total). Cost is $39.00 per person, paid in cash at the time of the tour. Reservations are required. There is limited on-site parking. Depending on the number attending, arrangements will be made to carpool or shuttle from off-site parking to the Estate. The tour starts promptly at 9:00 AM. Contact David Long davidmlong@earthlink.net to make your reservation or for tour details.